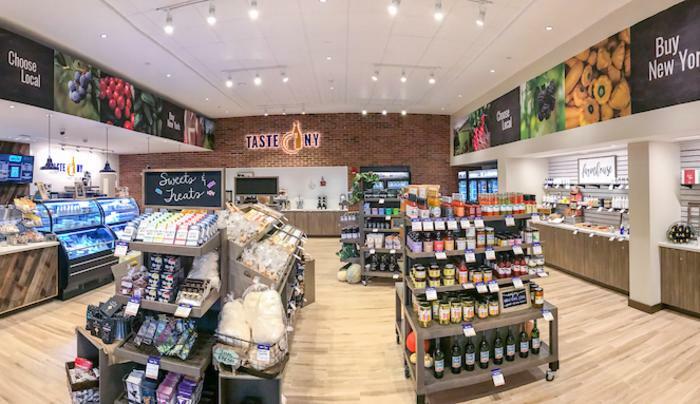 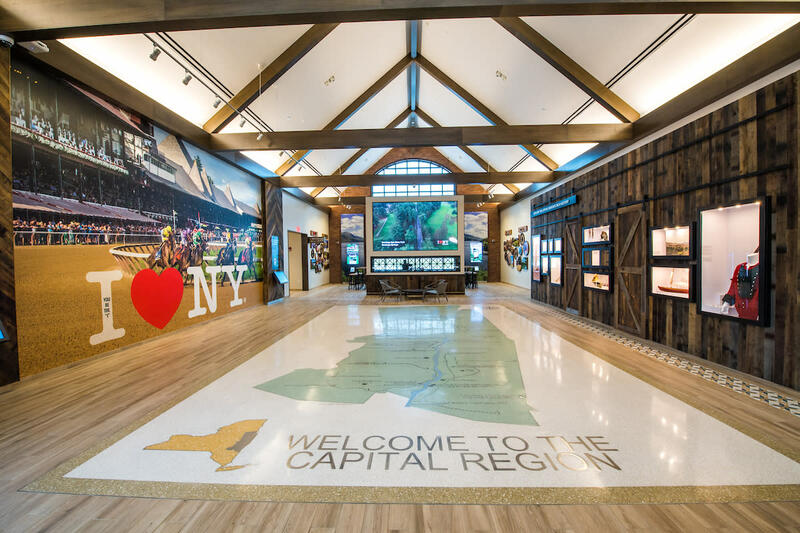 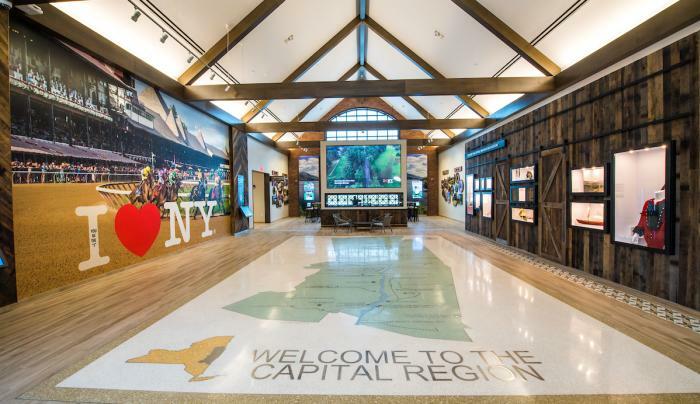 Whether you’re en route to a Catskills ski trip or headed up to Albany or beyond, it’s worth stopping in at the Capital Region Welcome Center for a break or to pick up a few delicious items from the full Taste NY market and store. 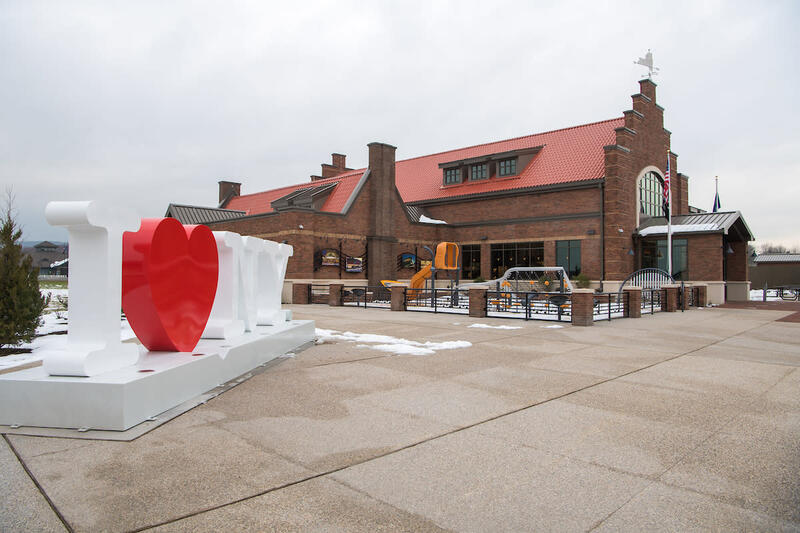 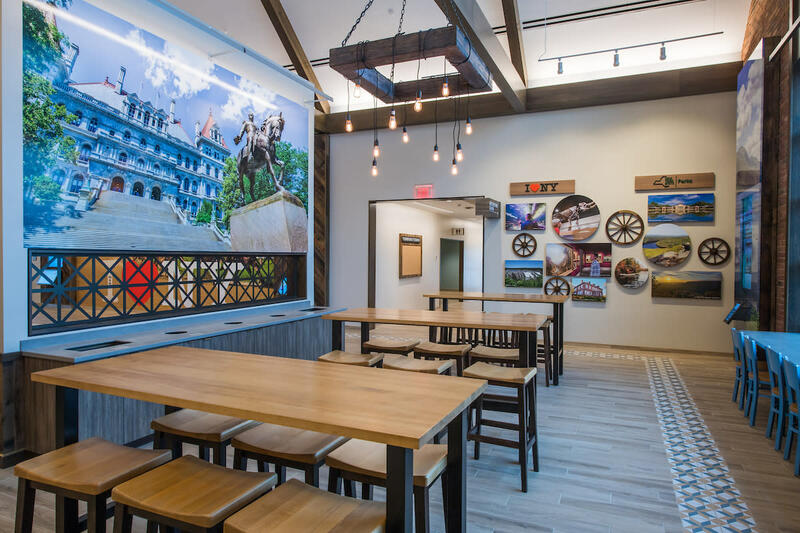 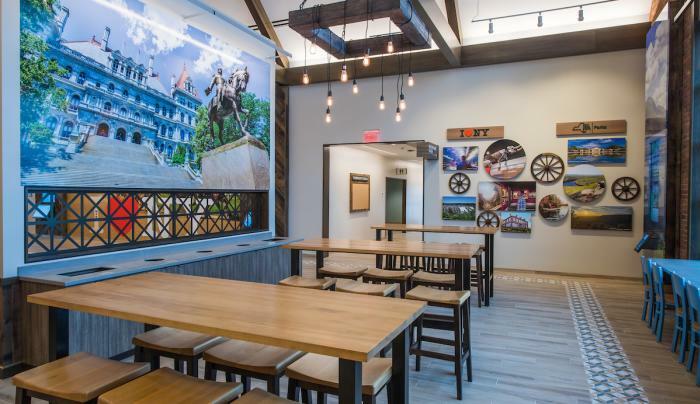 Look for the Saratoga racing-inspired entrance and come explore a welcome center with Dutch-inspired architecture, a floor-to-ceiling selfie wall, and a two-part gallery wall with images inside wagon wheels. 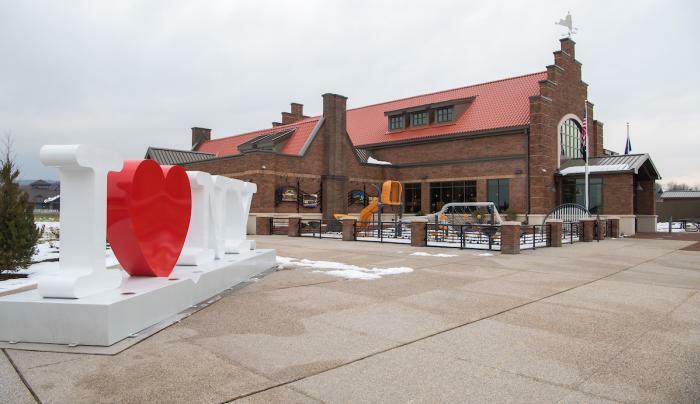 Outside, there’s a farmers market area, a music-themed playground featuring panels of Capital region performance art spaces, and two electric car charging stations.